Apple recently released its HomePod speaker, and is reportedly planning to release a line of high-end headphones. These products will help position Apple as a high-end audio company, which appeals to a niche market of consumers. Apple seems to be moving away from the consumer-friendly Beats brand and wants to establish its own line of products. Apple is returning to its roots when it comes to music products and is starting to embrace the world of audiophiles who are prepared to pay more for premium, higher-quality speakers and music devices. Take the release of the HomePod in February. Apple’s new home speaker is designed to compete with Amazon’s Echo devices. A key part of Apple’s marketing for the device focuses on the audio quality. And now Apple is working on new, high-end headphones, Bloomberg reported this week. That’s backed up by a note published in February by reliable Apple analyst Ming-Chi Kuo, who also said that upcoming Apple headphones would focus on audio quality. Fans of high-end audio are prepared to pay big bucks for the perfect setup. High-end stereo systems can sell for hundreds of thousands of pounds. And one Japanese audiophile even installed a personal power supply to his home to improve his listening experience. Now, Apple looks to be muscling in on the world of high-end audio. 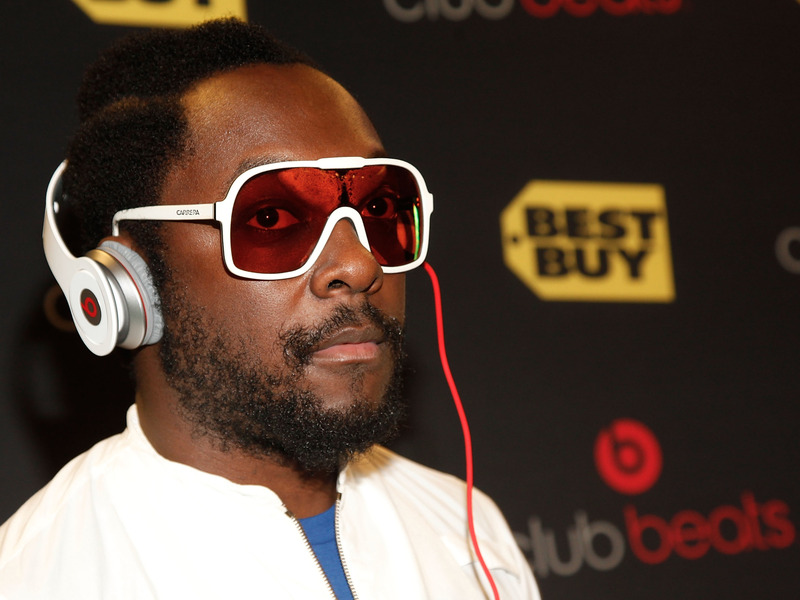 Joe Kohen/Getty Images for Best BuyMusician will.i.am holds a founder stake in Beats. Apple already has its own line of headphones, and even has an entire separate brand for them: Beats. Apple bought Beats for $US3 billion (£2.1 billion) in 2014, and got its hands on the company’s trendy headphones business, its fledgling music streaming service, and Beats founders Jimmy Iovine and Dr. Dre. But the Beats brand never felt like a natural fit for Apple.The company built up its profile by making sure that celebrities and sports stars wore its distinctive, colourful headphones. Apple, however, prefers to be far more low-key in its endorsements and design choices. Design chief Jony Ive favours white, minimalist products, for example. Apple now seems to be planning to start again on headphones and is reportedly working on something that seems much more Apple-y. High-end audio products are nothing new for Apple. In fact, it brings the company back to the release of the iPod. But over the years Apple has moved away from catering to audiophiles. It’s a small market, after all, and Apple doesn’t want to risk releasing niche products. So newer iPhones made it incredibly difficult to play lossless music (unless it’s in Apple’s own lossless format), and Apple eventually discontinued the iPod Classic. “Farewell Apple iPod classic, We Audiophiles Will Miss You,” PC Magazine wrote. There have been glimmers of hope for audiophile Apple watchers over the years, though. Ive likes to play loud music in the Apple design studio.Maybe that was a sign that an Apple stereo system was on the way (it wasn’t). Apple founder Steve Jobs had been working on a new, lossless music format with musician Neil Young. Maybe Apple was about to get back into lossless audio in a big way (it wasn’t).U2 singer Bono said that he was working on a top secret music format with Apple. Perhaps that was the high-resolution audio fans had been waiting for (it was never released). Another forum post had the title “Apple Music… Seriously?” Audiophiles bemoaned the lack of proper lossless audio support. Sure, some people made the point that Apple’s music format is basically identical to standard lossless formats. But audiophiles never saw Apple as a serious player in that space. Now, that all seems to be changing. The HomePod received positive reviews from Reddit’s audiophile community. Apple vice president of worldwide marketing Phil Schiller even tweeted a link to a post from the subreddit reviewing the speaker. The release of a line of premium Apple headphones would do even more to establish Apple’s audiophile credentials. Until recently, the closest thing you’d find to an audiophile product in an Apple Store was a speaker made by a third-party company such as Devialet. But that’s likely to change as Apple develops its own line of speakers and headphones.